The NFPT Certification Council acts independently of the NFPT Board of Education and the NFPT Board of Directors. The Council establishes assessment setting protocols and standards for certification and examination eligibility, development, administration, security, reporting, and maintenance as they relate to the NFPT Certified Personal Trainer (CPT) program. The Certification Council is responsible for establishing appropriate policies and procedures that comply with national certification accreditation and credentialing standards. The Certification Council establishes and manages all functions related to achieving certification (through a professional scope of practice assessment) as well as maintaining certification (through renewal and continuing education requirements). The NFPT Certification Council is made up of five (5) total members; at least one (1) of whom is currently NFPT certified and one (1) who is appointed as the “public member” to represent the direct and indirect users of fitness trainer services and to effectively advocate for their interests. Robert Bovee has worked in the health and fitness industry for over 40 years. Mr. Bovee has an extensive education, some of his educational accomplishments include studies in Sports Medicine, Exercise Physiology, Nutrition and Rehabilitation at Syracuse University. He is a NFPT-CPT and NFPT Master Trainer with specialty certifications in Resistance, Endurance and Functional Training. Mr. Bovee’s education extends to Lifestyle and Weight Management, Exercise Therapy and Pre-Surgery Conditioning. 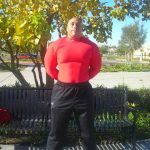 He is a Rehabilitation and Medical Exercise Specialist certified by the American Academy of Health, Fitness and Rehabilitation Professionals and is also a professional member of the National Strength and Conditioning Association, the American Running and Fitness Association, IDEA Health and Fitness as well as the National Strength and Conditioning Foundation (over 20 years). Mr. Bovee has many professional accomplishments in his longstanding fitness career. He is the author of the series entitled ‘Strengthening and Conditioning Your Body’ and he has researched, wrote and designed 127 Exercise/Fitness Therapy and Rehabilitation Programs for Injury Prevention and Rehabilitation Programs. For 12 years, Robert was the Head Strength, Conditioning and Rehab Coach for Rochester NY professional sports teams: Rochester Americans Hockey Team, Raging Rhinos Soccer Team, Rattlers Outdoor Lacrosse and Knighthawks Indoor Lacrosse Teams. In 2002, Robert Bovee was presented with the International Employee of the Year Award by World Gym International and received the highest honors at the Arnold Swartzenagger Classic, The Joe Gold Award. Currently, Mr. Bovee is the Owner/CEO of National Academy of the Personal Health Approach (NATPHA) and oversees the Personal Training and Exercise/Fitness Therapy Departments. Lauren Lewis is a Group Fitness / Personal Trainer with 31+ years of experience in the fitness field. Starting as a Group X Instructor in the New York Metropolitan Area she taught in a variety of clubs and studios including The New York Sports and Fitness, Alzerika’s Exercise Studio and The Fitness Factory in Southampton NY. In 1996 Lauren expanded her career into the Personal Training with a certification through the N.F.P.T. Since then she has taken advantage of a wide variety of training opportunities ranging from executing workshops for trainers at the Lucille Roberts Fitness Chain to expanding her own private practice by helping a spectrum of individuals meet their personal fitness goals. Some of these goals involve postnatal weight loss, preparing elite athletes for competitions, improving performance in sports specific activity and range of motion and flexibility training with seniors. In 2001 she moved to Austin Texas where she continues her practice in the beautiful outdoor friendly setting of Austin and works with an organization there called Power for Parkinson’s. 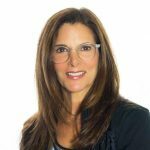 Currently, Lauren devotes much of her time to helping people with Parkinson’s disease; she works with many clients, and their caregivers, to teach health and fitness methods for improving quality of life. She also presented a successful and motivational Move and Shout class at the International World Parkinson’s Congress. Samuel Davis served in the United States Navy from May 1983 to May 2003 as a Hospital Corpsman. Samuel Davis has also served in the Operation Desert Storm conflict and, following combat duty, has served in the capacity of Command Career Counselor, ER Medical Technician, CPR Instructor, Food Sanitation Inspector and Fitness Instructor. 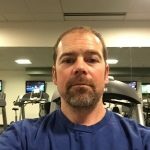 Mr. Davis has his Masters Degree in Physiology from Southern Illinois University and a number of certifications and licenses ranging from NFPT CPT and Master Trainer to ACE Group Fitness Instructor, Mad Dog and Reebok Spin Certified Instructor, Sexual Assault/Victim Counselor and Crisis Intervention Counselor. Currently, Mr. Davis is a researcher and administrative support assistant for confidential government contractors and also enjoys extracurricular work as a personal trainer at his local YMCA. Jake Cooper graduated from John Carroll University in Cleveland Ohio with a B.A. in Physical Education with concentrations in Athletic Training, Fitness Specialists, and Nutrition. Jake Studied under the Head Athletic Trainer which resulted in the opportunity to work with many sports programs, learn how to handle emergencies, rehabilitate athletes, and receive and education in Fitness Program Development and Management. One year after graduation Jake began his own Personal Training business which he successfully operated until becoming the Fitness Director/Head Personal Trainer at The Cleveland Racquet Club (A Private Racquet Sports Facility) which he has been for the last 10 years. He became the first full time Fitness Director in the club’s history. He added new programming (yoga, pilates, zumba, speed and agility classes) and expanded the personal training business. Jake has worked with Professional Athletes, and high level tennis, squash, and soccer athletes, and adults looking to lose weight and/or build muscle. Jake also specializes in working with Alzheimer’s patients. Jake has been a successful high school (14 years) and college (4 years) soccer coach. In 2015 Jake passed and received an “A” license from the United States Soccer Federation. This was an extremely high honor! Ashley Thomas is a Hospital Administrator. His job is to ensure that the hospital is equipped to offer the appropriate care that patients deserve. These duties will range from ensuring that the clinic has all the supplies needed for not only the medical side of the hospital, but the administrative side as well. It is Ashley’s responsibility to assure that the hospital is staffed adequately to meet patient needs and that the medical systems are running properly. Also, Ashley makes sure that all hospital staff is up to date on the training needed to perform their jobs safely and efficiently. Originally from New Orleans, Louisiana, Ashley currently resides in San Diego, California. Ashley is dedicated to his own personal health and fitness, even working as a spin instructor on his San Diego military base in 2002. While working in this capacity, Ashley noticed the bond that working out created between complete strangers. This was also the first time he had the opportunity to observe the relationship between a personal trainer and their client. 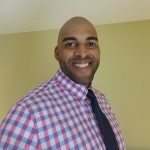 Ashley Thomas has attained a wealth of knowledge over the years in the medical administration side of patient care, and has coupled this with his experience in the community of health and fitness to bring perspective as a public member to the NFPT Certification Council. Mr. Thomas brings perspective of what the everyday citizen is looking for when they take the leap of faith and decide to utilize a certified personal trainer in helping them reach their fitness goals.